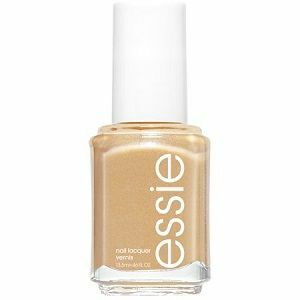 Essie Nail Polish, Mani-Thanks, 1025, .46 fl. oz. Semi-sheer champagne gold nail color with gold micro-glitter. Essie Celebration Moments Collection, 2019.